Little ones can play on match day too. 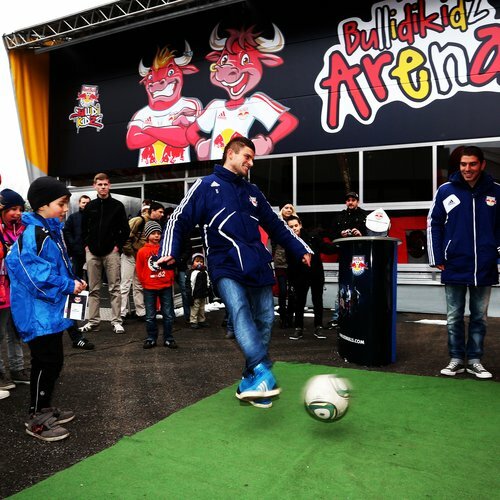 FC Red Bull Salzburg’s brand new Bullidikidz Arena on the WEST side of the Red Bull Arena complex offers plenty of opportunities to have some fun and get active – on match days too! Carers are on hand to look after children between the ages of three and fourteen, allowing kids big and small to have the best time possible. The management is done by professional educationalists of course! The top-quality facilities have something for everyone: table football, a football pitch, video lounge, drawing and crafts corner and play area with a ball pool and slide. There are plenty of options on match day for the whole family. More details are available in this brochure (in German). 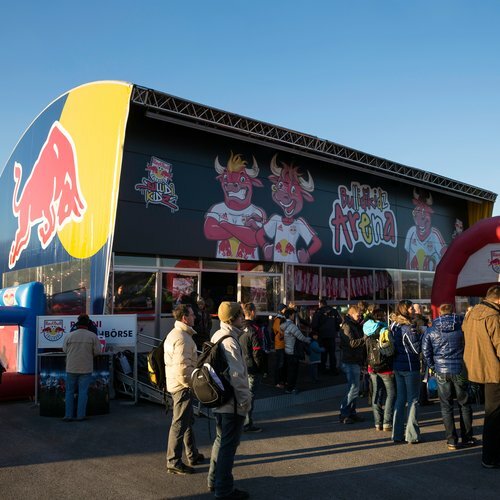 Your parents bring you to the Bullidikidz Arena from three hours before kick-off so that they can prepare for the match. Before kick-off they will pick you up again so that you can enjoy the match together. 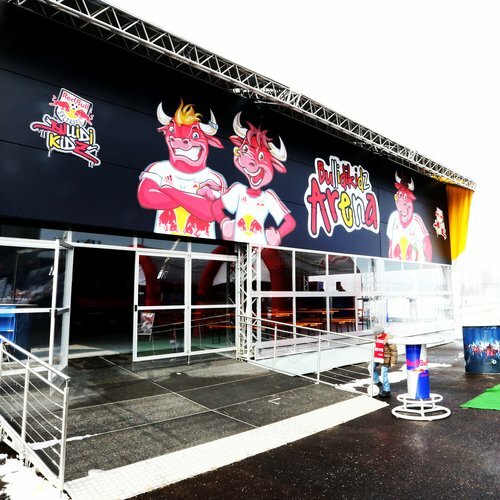 From three hours up until 30 minutes before kick-off at the latest, your parents bring you to the Bullidikidz Arena. You then watch the match with other children under the care of professional staff in a separate area of the Bullidikidz curve. Your parents pick you up again from the Bullidikidz Arena up to 30 minutes after full-time. Your parents bring you from three hours before kick-off to the Bullidikidz Arena. While your parents watch the match, you can spend the whole time having fun in our fan park (not watching the match). Your parents pick you up again no later than 30 minutes after full-time.